Obituary for Odessa Louise Kimbrough | House of Wheat Funeral Home, Inc.
KIMBROUGH, Mrs. Odessa Louise, age 84, of Dayton, Ohio, departed this life Tuesday, August 21, 2018 to be with the Lord. 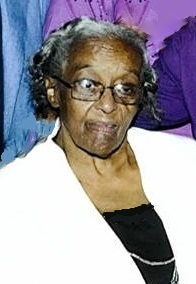 She was a graduate of Paul Laurence Dunbar High School, Class of 1956. A dedicated employee of the Dayton Public School System for 36 years. Odessa accepted Christ as her personal Savior many years ago. She has been a member of Spirit of Peace Church since the birth of the church. Odessa was a loving and devoted mother, grandmother, great grandmother, sister, aunt and friend. She was a pistol-packing woman with words who always tried to instill knowledge into anyone she came across. Preceded in death by her parents, John and Rebecca Wheeler; sons, Wayne and James Kimbrough, McCoy Jamison III; daughters, Phylicia (Diane) Geroski, Theresa Frances; sister, Rose Wheeler; brothers, Charles and Cecil Wheeler; grandchildren, Layla Kimbrough, Brian Jamison, Arvell Steed. Odessa leaves to cherish precious memories and celebrate her legacy, daughters, Vickie Boddie, Joyce and Karen Kimbrough, Lashaunda Taylor, Gail (Mark) Jones, Margaret Jamison, Evelyn Brown; sons, Daryle (Phyllis) Wheeler, Michael Jamison; sisters, Florence Camp, Lois Jamison; a host of grandchildren, nieces, nephews, cousins and friends. Funeral service will be held 1 pm Monday, August 27, 2018 at Mt. Calvary M. B. Church, 3375 W. Siebenthaler Ave. Rev. John Boston officiating. Visitation 10 am-1 pm. Family will receive friends 12-1 pm. Interment West Memory Gardens. Arrangements entrusted to House of Wheat Funeral Home, Inc.